Q: Why do I need a Trial Lawyer? A: ‘Trial’ Lawyers are the warriors on the front line. They are the Navy Seals that move in on the enemy with deadly striking force. If you’ve got a good ‘Trial’ Lawyer consider your very lucky. 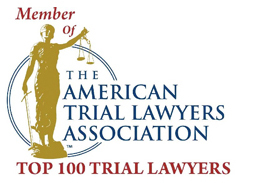 Why do I need a Trial Lawyer? Well, unfortunately, the opposite of a Trial Lawyer is a Negotiator and if you’re up against a big Insurance Company, why are they going to fear you? Do you really want a Lawyer who is simply a Negotiator? Why not just ask ‘granny’ to help you out? You’ll get the same result. There just aren’t enough of us, 98% of all Lawyers are forced to Settle out of court because they just can’t go to Trial. You will hear one excuse after another such as: Trials are too expensive, I don’t have time to do it… There’s numerous other excuses used by Lawyers to avoid going to Trial (i.e. “We better take their offer I’ll reduce the medical bills. Settling will put more money in your pocket.”) However a ‘real’ Trial Lawyer is always prepared to go to Trial, he has the staff, he has the money and he has the ‘attitude’. If your Lawyer is willing to pay for the Trial – then what’s your problem? 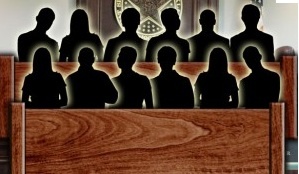 Any Insurance Defense Attorney will tell you that there are relatively few of us. We are the Lawyers that take on the Insurance Companies and hold their feet to the fire. The results speak for themselves. Insurance Companies are far from stupid, they have been around for well over a 100 years all they do is sell Insurance and handle Claims. Their goal is to offer you as little money as possible to get your Lawyer to take it. That’s how they make money. That way those Claims Adjusters wind up with strong evaluations and get raises and promotions. If you were an Insurance Company wouldn’t you make low offers especially to those Attorneys you know won’t take a case to Trial? Of course you would, and on the other hand those Attorneys known for being Trial Attorneys are treated with a great deal of respect. They get the biggest offers.